Like the variably paced segments of a rapturous Carnatic song, this two-week trip offers you a string of individually distinctive experiences, but all connected to each other to form a beautiful appreciation of the unique history, religion, culture and cuisine of the Tamil people. In Chennai, witness the beginnings of an empire that came to rule India and receive an introduction to Hinduism as practised here. Spend time with experts as they teach you the basics of classical music and dance and get an introduction to our food culture. 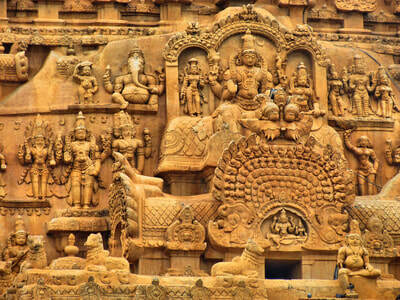 Travel south along the Coromandel Coast as you explore ancient kingdoms and colonies at Mamallapuram and Pondicherry. From here you enter the soul of the Tamil country at Tanjore with its awe-inspiring 1000-year old temples, rich arts and craft. 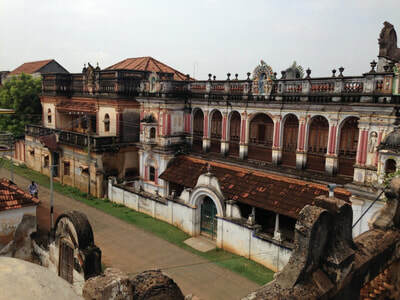 As you travel further south, stumble across 100-room early 20th century mansions, built by the prosperous Chettiars and get introduced to a surprisingly rich Tamil cuisine. Then visit one of the world’s oldest cities dating back to the dawn of the last millenium, where in the sacred halls of the Meenakshi Temple, haunting evening rituals give you a glimpse of a more ancient past. Lastly, travel up to the hills of the Western Ghats at a plantation retreat, replete with the famous spices that brought ancient and modern adventurers to Tamil shores. 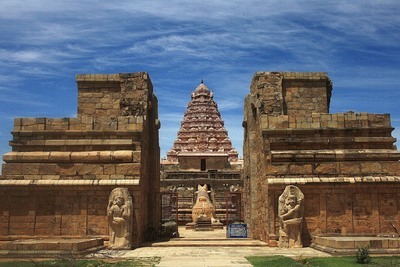 ​This two week trip offers you a string of individual distinctive experiences, all connected to each other to form a beautiful appreciation of the unique history, religion, culture and cuisine of the Tamil people. 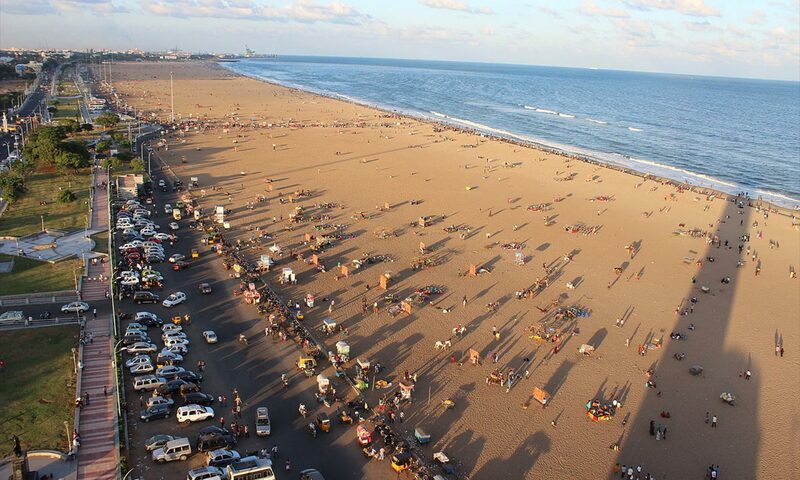 Arrive into Chennai and transfer to your hotel. Rest in the morning. Make your first afternoon exploration of Chennai starting with its colonial history, beginning at the Fort St George, and other vestiges of the British Raj. Evening tea at a club or one of the garden cafes in Chennai. 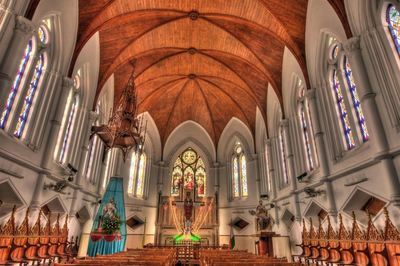 Today you will explore the spiritual heart of Chennai. 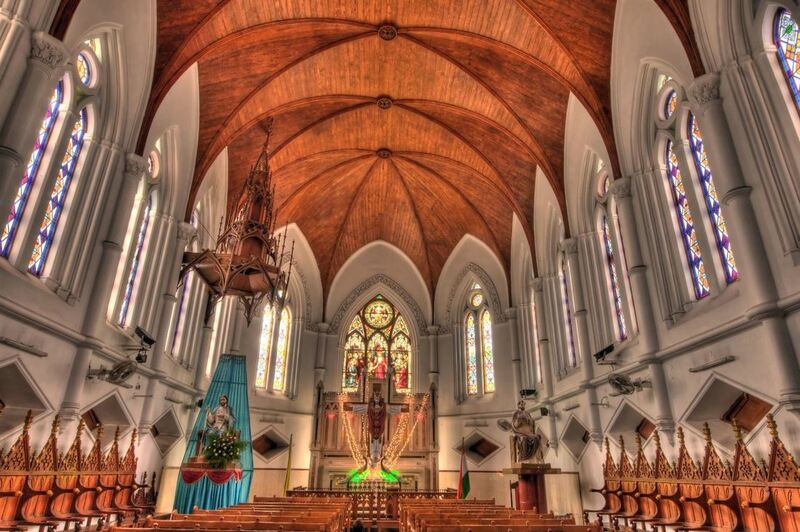 Start early and visit the Hindu, Catholic and Islamic Quarters of Chennai. First see the magnificent Mylapore Temple and its surroundings, then the Santhome Cathedral & Luz Church (where Christianity had its roots in India), and then finally the Islamic heart of the city at the Royapettah Mosque. 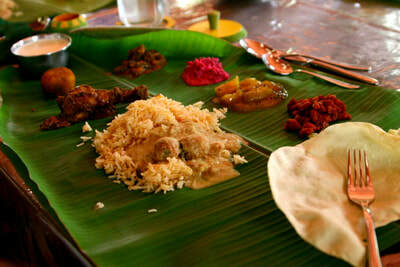 Have authentic south Indian vegetarian meals before heading back to your hotel. 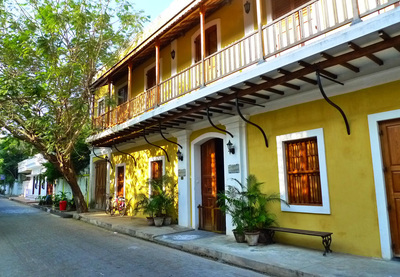 In the late afternoon, go on a curated visit of some of the interesting silk, jewellery and craft stores of Chennai. 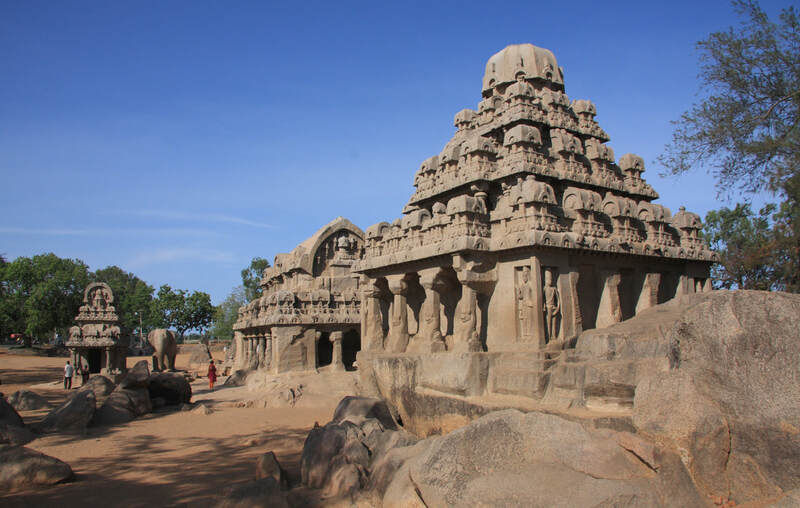 This morning you are transferred 60 km south of Chennai to the 7th century port city of the South Indian dynasty of the Pallavas – Mamallapuram. Enroute, stop and see Dakshina Chitra, an open-air museum devoted to the architecture, livelihoods, art and craft of South India. In the afternoon, visit the UNESCO World Heritage monuments of Mamallapuram. A 2 hours scenic drive along the East Coast Road will take you to Pondicherry (now known as Puducherry), established by the French East India Company in the 18th century. In the afternoon, take a guided visit of the French & Tamil Quarters, as you explore the architecture, urban planning and everyday life of Pondicherry - old and new! 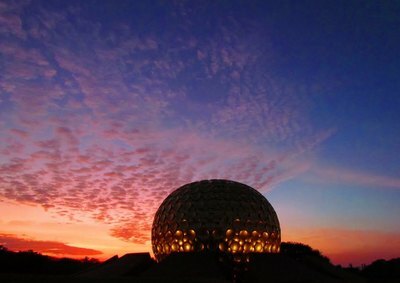 In the morning, visit Auroville, the international commune built in 1968 and still attracting scores of people to relocate and live here. See the spiritual center - the Matri Mandir. On your return, browse through the shops at the Visitors Centre, where all of the beautiful artisanal products of Auroville are available on display and sale. Have lunch in Auroville at one of its many organic food outlets or at a seaside restaurant on the beach. In the evening, go on a walk along the city's beach promenade and have dinner at one of many quaint French bistros or courtyard restaurants. Early morning this day, drive further south to reach Tanjore. 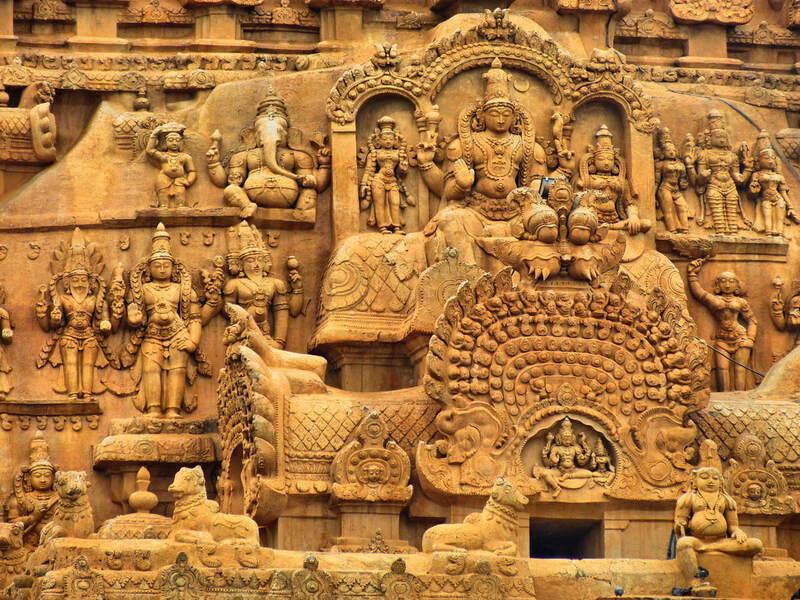 Thanjore is home to the mighty Brihadeeswara Temple, built over 1000-years ago by the Chola King, Rajaraja I and is considered one of the world’s major architectural feats. Visit this temple at sunset for an unforgettable experience. 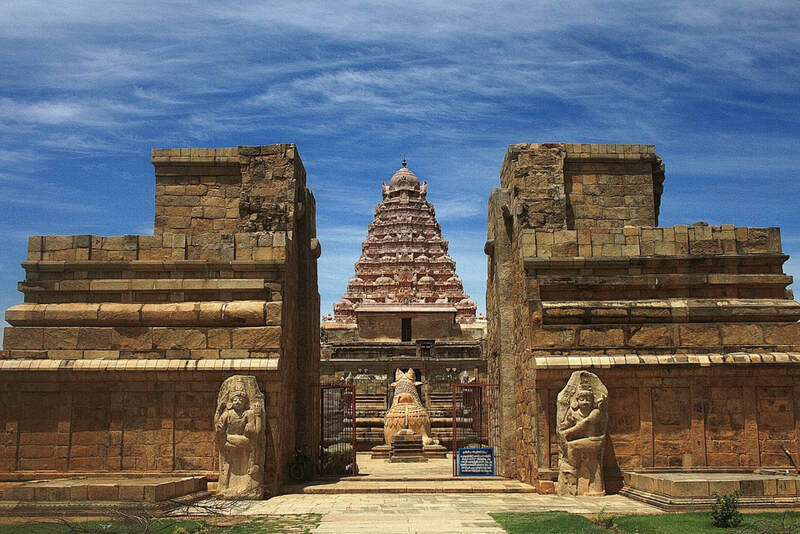 Today you will visit the smaller but magnificent UNESCO-cited Chola era temple in the tiny village of Gangaikonda Cholapuram, 1.5 hours north of Thanjavur. The tongue-twisting name means, “The town of the Chola who conquered the Ganges”. On the way back, visit the UNESCO-cited Airavateshwara Temple, in the village of Darasuram which ranks alongside those at Tanjore and Gangaikonda Cholapuram. 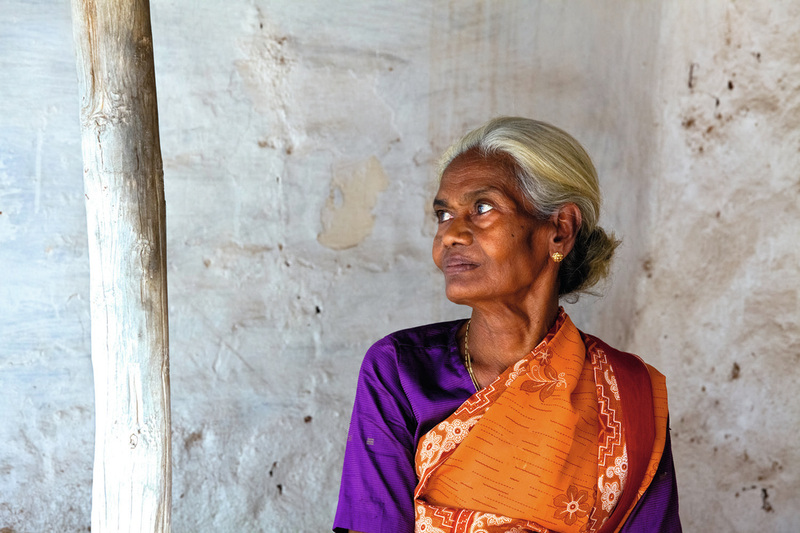 Drive 2.5 hours south of Tanjore and arrive at Karaikudi – the home to the Chettiars, a community of Tamil traders. Visiting the palatial homes and mansions around Karaikudi with a local guide gives you insights into legacy of this vibrant and prosperous community. Today, explore one of the local weekly markets called a santhai and shop for hand spun cotton fabrics, palmyra leaf baskets, and locally-grown food produce that comes from village farms. Shop for the famous Chettinad sari at one of the local shops and also stop at a tile manufacturing unit at Athangudi. Drive from Karaikudi and reach Madurai, one of the oldest cities in South Asia. In the late afternoon, visit Meenakshi-Sundareshwarar Temple, built to its current form in the 15th century AD. 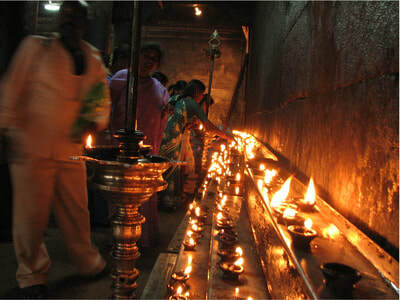 Also explore the markets of Old Madurai around the main temple. Today you travel north-west of Madurai to Athoor. 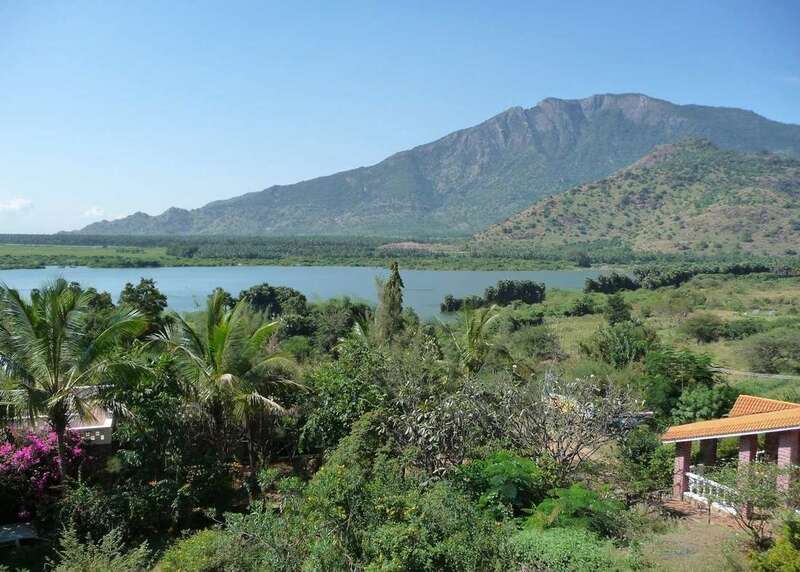 Located just over an hour’s drive from Madurai, Athoor is a small village in the foothills of the Palani Range. Spend 2-nights here experiencing the way of life that is largely Tamilnadu - an agrarian village community. Enjoy the delicious food at your farm stay, great village and countryside walks. From the foothills, travel further up to Palani Hills, a spur of the mighty Western Ghats that run north-south in India. Weather is pleasant throughout the year with temperature hovering around 23 degree. Stay on a coffee estate, tucked far away from the maddening crowd, where you can find orange, pepper, banana, avocado, jackfruit and pomegranate groves. You can choose to relax or go on a short trek - see beautiful views and enjoy the colourful bird and animal life. You will be transferred to Madurai airport, located 3 hours away, to catch your flight to Chennai.